Radical Game Makers: We Want You! The Allied Media Conference is a yearly gathering of independent and activist media makers from all over North America. We gather in Detroit to share strategies on how to create sustainable social change through media. This year’s conference is June 20-23 and I’m honored to be one of the coordinators of the game-oriented track along with a team of awesome people: Liam Burke, Una Lee, Adam Liszkiewicz and Cayden Mak. Last year I wrote about the AMC and the workshop I conducted with Una, the experience was so positive that I asked to be more involved this year. 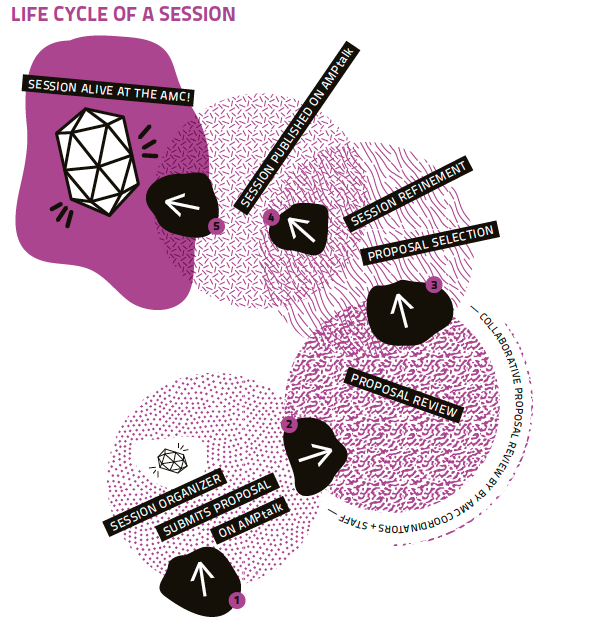 The name of the track is Imagining Better Futures Through Play and will consist in a series of hands-on workshops and the Playpen, a more informal space to show, play, playtest and discuss all sorts of socially engaged games. Everyone is encouraged to submit a session proposal though the AMC website: the deadline is March 8. You can contact any of the coordinators for assistance with the proposal. We can help you craft a kickass proposal that will knock the socks off my co-coordinators and the AMC organizers. Note: this is not an academic nor a game developers’ conference. Most of the participants won’t have a strong gaming background: this would be a rare opportunity for game makers who give a damn about the world outside geekland to work with real, and really passionate people. Everyone plays games, but why are so many of the most popular games about violence, inequality, and imperialism, and why do they misrepresent our communities for commercial gain? Can’t they reflect the world we want to live in instead? Imagining Better Futures through Play at the Allied Media Conference is about promoting games and creative play as media for telling our own stories, for envisioning systemic change, and for building movements. But what does it take to make a game? You don’t need hundreds of people and thousands of dollars. We want to bring together anyone who has a love for games and a desire to build a more just and creative world to share ideas and skills. We’re looking for workshops that help game designers, both novice and experienced, who are involved in social movements develop conceptual and technical skills so they can create fun, powerful, world-changing games. Imagining Better Futures through Play intends to discuss all types of games, whether they’re tabletop, electronic, movement-based, role-playing, etc. Session proposals are due March 8, 2013 on AMPtalk (http://talk.alliedmedia.org/). Game on!